A lot of Stephen King’s work has made it to the big screen, or has been turned into series which can be seen on platforms such as Netflix. 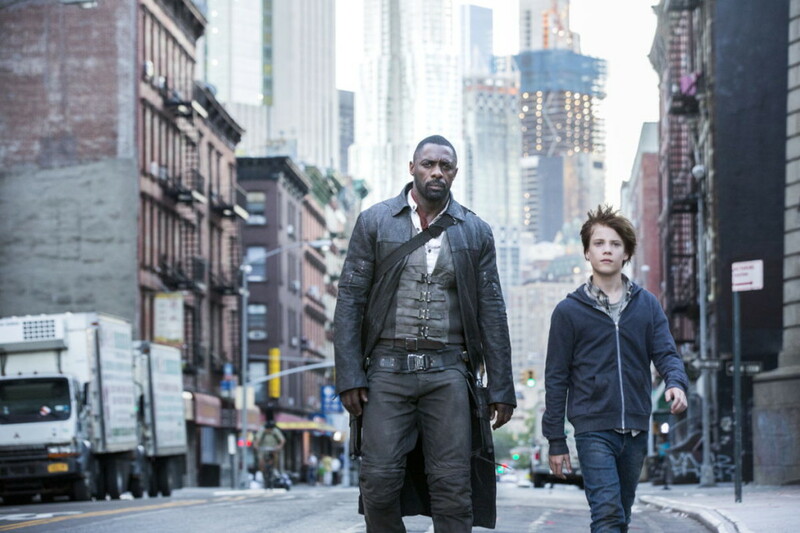 The Dark Tower is such a series of King’s books that has been turned into a film, for those who never had the chance to read these books, or who wanted to see their image of the tale come to life. We had this fairly realistic fantasy story on our radar last year when it aired in theatres around the globe, but we had to wait a little longer until the physical edition arrived at our doorstep. Jake (Tom Taylor) is considered a rather difficult child, as since the death of his father, his personality changed, he has been getting weird ‘visions’ about a different world and he is getting into fights at school. His mother loves him to death, but he is putting a heavy strain on her new relationship, and thus he is forced to go to a psychiatrist, but seeing this isn’t really helping either, they are resorting to more extreme measures and want him committed to a hospital that deals with children in similar situations. While Jake also wants to lead a normal life, he simply knows these visions are true and that there’s a deeper meaning to them. He constantly sees a different Earth-like world with a dark tower in the middle of it. A man in a black suit, who is later revealed to be called Walter (Matthew McConaughey) is doing horrible things to children and has a lot of odd looking beast-like humans under his control, who clothe themselves with human skin, appearing to be real humans. 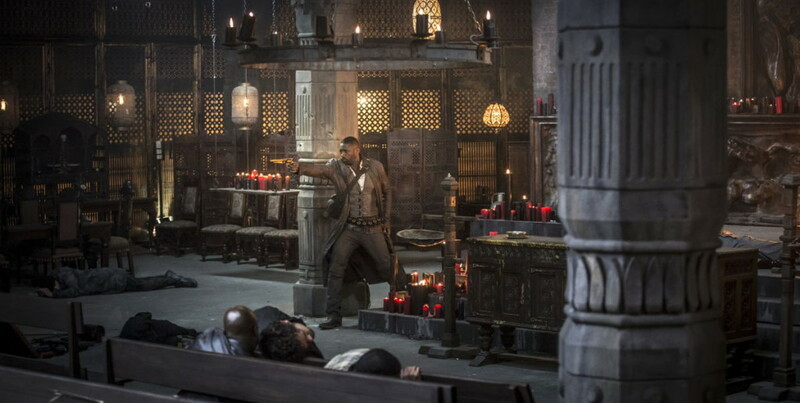 In his latest visions he also sees an impressive gunslinger by the name of Roland (Idris Elba), who might be the only wedge between the door that the forces of evil are trying to open. When he also sees a house of his own world in one of his visions, Jake wants to get there and see if what he sees is actually true. When his mother and pseudo-father have the people of the clinic come by, Jake notices these are said fake people under Walter’s control, he makes a run for it, hoping to find the odd looking house. It’s pretty hard capturing as many as eight books into one movie that spans only a little longer than an hour and a half, which means the flow will be rather rapid. Nonetheless, nowhere throughout the movie you’ll have the feeling you’re missing important pieces of the puzzle, or that many questions are left unanswered. You’ll know the deeper goal of the movie rather fast, and you can easily follow each step along the way. The latter makes the movie very enjoyable, even though the movie may not have the most lighthearted of topics. Overall the flow is perfect and the books have been translated to a movie rather perfectly. Nonetheless, you’ll never get as many details as you normally would have had in the original eight books. 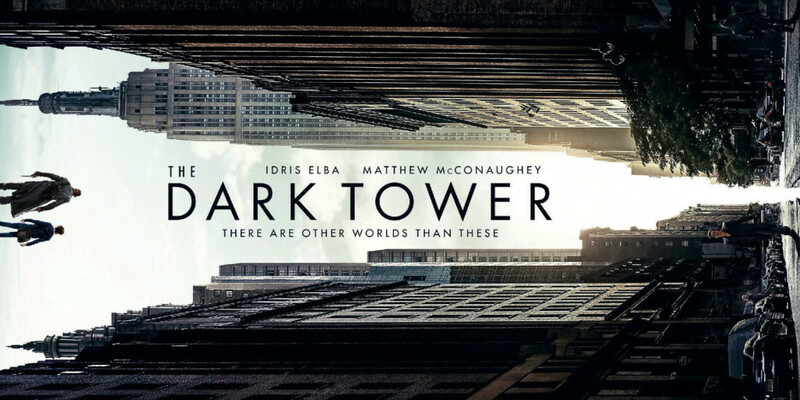 While the movie shows a lot of characters, it’s basically all about three actors in the lead, namely Matthew McConaughey, who plays the villain, Idris Elba, the gunslinger and Tom Tayler, the light and thus wanted ingredient to bring the tower down. This play between these two massive actors, and one young talent is rather impressive and believable in this fantasy-like western movie. The other supporting roles are also filled in accordingly and don’t take away a single bit of the very qualitative casting. The Blu-ray edition of The Dark Tower comes with a reasonable amount of extras that are all along the lines of ‘making of’ content, where pieces revolve around Stephen King’s inspiration, the concept behind the conversion of the books into a movie, the action sequences, the characters, the world itself and so on. Other than that, there is also simple extra content such as deleted scenes, bloopers and previews of other movies. Overall the special features are appreciated and do lift the veil a bit on how this movie came to fruition. The Dark Tower is once again one of Stephen King’s stories that made it to the big screen and we’re quite happy it did. The movie itself might not shatter any records, but the story is very enticing, the fantasy portions are very believable and the overall experience is very entertaining. If you’re into a fantasy setting that doesn’t wade too far away from what we know in our daily lives, then this movie will certainly appeal to you.